The International Institute of Humanitarian Law is organizing its first specialized training course on IHL and human rights for officers deployed in the G5 Sahel Joint Force. The course will take place at Villa Ormond, Sanremo from 3 to 14 December next and is part of the legal support strategy to this Joint Force. The course is the result of a multilateral collaboration with the contribution and financial support of the Italian Ministry of Foreign Affairs and International Cooperation, the Austrian Ministry of Defense , the Office of the High Commissioner for Human Rights in Mali, and with the participation of the Integrated Multidimensional Mission of Nations for Stabilization in Mali (MINUSMA), the International Committee of the Red Cross (ICRC) and the Center for Civilians in Conflict (CIVIC), a non-governmental organization working in situations of armed conflict with the objective of fostering solutions aimed at preventing and mitigating damage to the civilian population. 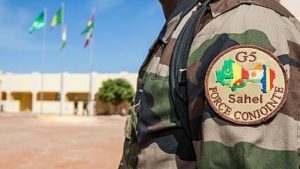 This first course will be attended by a total of 23 participants from the Armed Forces of all the five countries of the G-5 Sahel, namely, Burkina Faso, Chad, Mali, Mauritania and Niger. It is meant to be a pilot training project aimed at providing specific legal operational training on a regular basis in the future.